My doctorate is in music and I have experience teaching music at multiple universities, as a public schools teacher, and as a private instructor. I've performed professionally for many years on a large variety of instruments. For booking, please sign up with TakeLessons today, and then we'll arrange a mutually agreeable meeting time. I look forward to hearing from you! Carl delivers an exceptional lesson experience and ranks in the top 15% of our teachers nationwide. Prior to working at OSU, Carl was Instructor of Jazz and Saxophone at South Dakota State University from 2014-2017. His responsibilities included directing the annual SDSU/Brookings Optimist Jazz Festival, directing Jazz Ensembles I-II, Jazz Combo, Jazz Improvisation lessons, Jazz Pedagogy, online Jazz Appreciation, private saxophone lessons, saxophone quartets, private oboe lessons, and group guitar class. Teach undergraduate saxophone lessons, Music Theory I, and Music Theory II. Responsibilities include the undergraduate Saxophone Studio, Jazz Ear Training I-IV, Jazz Improv/Combo Class, and directing Big Band II. Teach private music lessons on various instruments both online and in person. Lecturer of Graduate Saxophone and Music Theory: Responsibilities include graduate saxophone lessons, graduate music theory review, graduate saxophone pedagogy, and saxophone studio class. Instructor of Saxophone and Jazz: Responsibilities included directing the annual SDSU/Brookings Optimist Jazz Festival, directing Jazz Ensembles I-II, Jazz Combo, Jazz Improvisation lessons, Jazz Pedagogy, online Jazz Appreciation, private saxophone lessons, saxophone quartets, private oboe lessons, and group guitar class. Graduate Teaching Assistant of Saxophone: Responsibilities included directing Saxophone Quartets II-III, teaching private saxophone lessons, assisting in saxophone studio class, and teaching the music education woodwind methods course. Graduate Teaching Assistant of Jazz Studies: Responsibilities included Assistant Director of the KU Jazz Festival, directing Jazz Ensembles II-III, and directing Jazz Combo III-VI. Graduate Teaching Assistant of Saxophone: Responsibilities included classical and jazz saxophone lessons, saxophone quartet coaching, saxophone studio Webmaster, and saxophone studio class. Graduate Teaching Assistant of Music Theory: Responsibilities included Music Theory I-IV tutoring and grading, sight-singing grading, and piano labs. Tau Beta Sigma is a highly respected pre-eminent music organization comprised of over 160 collegiate chapters and more than 3,800 collegiate members with a balanced representation of women and men. Strong leadership thrives throughout our organization and we have a solid financial foundation. We cultivate and sponsor a variety of music education programs for our diverse membership and work closely with collegiate band directors. Our alumni association is an integral part of Tau Beta Sigma, promoting diversity efforts, social networking and assisting members in enhancing their professional leadership and employment possibilities after graduation from college. We are actively engaged in the community through music. Encouraging and developing more effective teaching of wind and percussion instruments on the college level. Providing the efficient interchange of information, ideas, and materials among the members. Encouraging the publication, recording, composition, and distribution of good music for wind and percussion instruments. Fostering the development and manufacture of the best in wind and percussion instruments. Coordinating the activities of the membership with other groups having common interests. Encouraging the performance of solo and chamber music in which wind or percussion instruments have significant roles. The North American Saxophone Alliance is an organization made up of individuals who share a common interest in the saxophone. Members include professional performers, university professors, public school teachers, students of all levels, and others who have an interest in the saxophone. In addition to the Alliance's emphasis on disseminating information concerning the saxophone, the organization also works to provide opportunities for its members to make music, fostering fellowship among saxophone enthusiasts of all ages and backgrounds. K-12 receives a high-quality, sequential music education, provided by a certified music educator. pre-service and in-service music teachers. To create a better awareness of the value of music education. Kappa Delta Pi (KDP), International Honor Society in Education, was founded in 1911 to foster excellence in education and promote fellowship among those dedicated to teaching. For over a century, the Society has consistently grown, starting with a local chapter to become the international organization it is today, with an initiated membership that exceeds 1.2 million! Using a variety of programs, services, and resources, KDP supports and advances educators throughout the phases and levels of their teaching careers. The purpose of NESA: to identify Eagle Scouts and to provide a manpower resource for local councils. The primary objective of local chapters is to guide Eagle Scouts of all ages into service within the local council. All BSA councils have membership enrolled in the National Eagle Scout Association. Syrinx, pour flute by Debussy. 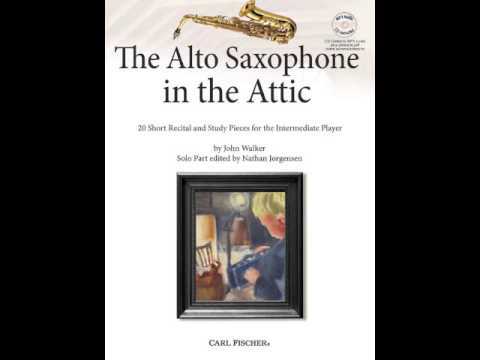 Performed by Dr. Carl Spaeth, alto saxophone. 3-26-19. 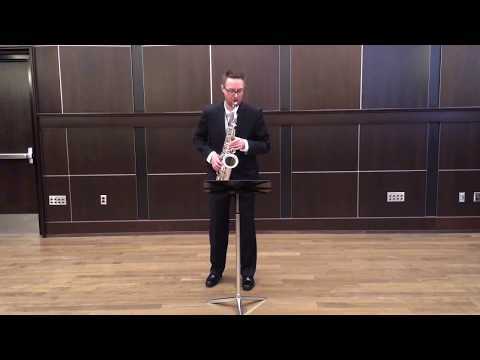 Dr. Carl Spaeth performing "A Beautiful Love" on tenor saxophone at the University of Tulsa on March 27, 2018. Saxophone Pro Tip #3: Jaw Pressure. August 30, 2017. Saxophone Pro Tip #2: Buildup on the Neck. Saxophone Pro Tip: Dealing with sore lips. Performing during Ethan Bortnick's national PBS Special called "Generations of Music," featuring Peter Yarrow from Peter, Paul and Mary. "In the Wee Small Hours of the Morning." Recorded on guitar on 8-26-17. "Happy Song." A fun approach to song writing. Live radio performance, spring 2014, with the Lucas Parker Band. Sonata for Clarinet, Op. 167, Movement I by Saint-Saens. Performed with Dr. John Walker at South Dakota State University on 11-2-15. How to play major scales on the guitar. "Everlong" by the Foo Fighters. Recorded August 2017. Dr. Spaeth 45 second clip stating the importance of actively listening. I really recommend Carl. I am an adult beginner with guitar....and had dabbled here and there without making much progress. When I started working with Carl, he was able to give me the very next thing that I needed to work on to get to the next step. Each week I have been able to progress and I am delighted with the improvements so far. Carl is patient, friendly, and very knowledgeable. If you can snag some lessons with him, it will be well worth your investment! Carl has really helped me become a better musician! Carl is an excellent teacher. He is friendly, and cheerful. The children like him, and enjoy going to music class. He seems patient. Glad we got the opportunity to work with him. Carl has been instrumental (pun intended) in our son’s progress in his trombone skills. Carl is patient and really gets how kids learn. My 11 year okd really likes him and knows he can ask him questions “how do I...” We text Carl the pieces my son is getting tested on and Carl helps him. Since my son has worked woth Carl, he has not reveived less than 90% in any playing test, usuling scoring 97% or higher and as such, had an A in band now. Thank you, Carl! Carl really is the best instructor ever! He has a lot of great tips and is very friendly! I highly recommend! Super patient instructor, very calm and welcoming. My son is looking forward to his next lesson. Really friendly. Kids enjoyed it. Gave some helpful assignments. Very kind and accommodating. Excellent teacher! Carl is kind, smart, and SUPER COOL! Great lesson as always. I am now being pushed into playing in time with the proper articulation and rhythm. The timing will be my next goal. It will be an hour a day just on Sight Factory, ouch. Great experience. Looking forward to the next lesson. Carl was very friendly with my daughter. He set her at ease. Asked many questions of her, but helped her when she was struggling to answer. Probably gave her more hints and new tools to use in 30 minutes than she has received in 2 years of band. Very impressed! Great lesson as always. Dr. Spaeth's encouragement and focused instruction is just superb. I'm putting in the work and my progress remains linear. Dr. Spaeth really helped me out! Just can't get over how much progress I'm making. Dr. Spaeth's encouragement and guidance is greater than five stars. My dog, Frisky, that used to howl when I played now comes in and sits next to me! She loves Take Five. Carl took the time to listen to my performance abilities and offered sound advice and positive criticism. He worked with my schedule and the online platform was convenient and simple. Thank you, Carl! Carl did a great job fitting exercises to my skill level. Friendly and super knowledgeable. Looking forward to my next lesson! Great lesson as always. Starting to delve into music theory to compliment my playing individual songs. I just love the instrument and Dr. Spaeth's focused and most encouraging instruction. My daughter learned very quickly from Carl’s teaching methods and he motivated her and established rapport quickly. She is looking forward to her next lesson. really nice to talk to. Dr. Speath"s encouraging and forceful instruction has brought me in only five months to a point where I can actually make music. This has been a dream of mine for a life time and it is being realized. I've even bought glasses like Paul Desmond and wear saxophone themed t-shirts. My motivation is continually growing and I'm putting in the work. Always so excellent. I practice a great deal and Dr. Speath keeps me moving along the multifaceted path to becoming a real musician. His instruction is both inspiring and pointed. I don't think I'm missing much at this point, I just need to continue playing and not learning bad habits. Dr. Speath always challenges me in the specific areas that need improvement and that forms the basis for my next weeks practice. Nothing is ever glossed over. We have an excellent rapport and every lesson is inspirational. Super motivational lesson. Dr. Spaeth , as always, provided me with both encouragement and critical advise for the upcoming weeks practice. He is an amazing teacher and has helped me a lot. I would totally recommend him. My lessons and interaction with Carl are life changing events for me. He's providing me with a disciplined path to something I've dreamed of all my life. I'm just thrilled with the instruction and motivation Carl is providing. Thanks so much. Just finished my third sax lesson with Dr. Spaeth. This man really knows his stuff, and more importantly, he knows how to teach. Highly recommended. Carl is an amazing teacher! Carl is a great teacher! He's patient and encouraging. I look forward to many more lessons! Great lesson! Carl is very patient and knows how to teach someone without much music background. Carl makes learning musical instruments fun! He's very knowledgeable and I am having a great time learning from him. Carl really knows his stuff! I couldn't ask for a better saxophone instructor! Carl is a great instructor. I just had my first piano lesson with him and I have learned a lot more than I had anticipated. I am looking forward to many more lessons with Carl! Wonderful instructor! He almost motivates me too much; I love the saxophone more everyday. Carl has been extremely patient and helpful as an instructor. After years away from the piano, I came back as an adult learner and found the online format to be perfect for my busy schedule! Carl helps me challenge myself and sets achievable goals to help my practice grow. Definitely recommend! Lessons with Carl are great! I'm really impressed! Dr. Carl did a great job and gave me a lot of things to work on. I highly recommend him. Carl is one of the best musicians I know--I'm lucky to be a part of his online studio! Carl is everything I've been looking for in a music teacher! Thank you so much! Carl is really knowledgeable about all aspects of music! I highly recommend him as a teacher! Great job! I'm feeling very inspired. I know I have a lot of work to do, but Carl gave me a clear method of how to reach my goals! Best instructor ever! Lots of people claim to play and teach multiple instruments, but Dr. Carl is the real deal. I couldn't be happier! He customizes my lessons so they're a good balance of what I want and what he thinks I need. I'm very lucky to have found him and will be taking lessons for a very long time! Carl is incredibly patient and encouraging! He has given me a lot of excellent advice and I am really grateful for him! Amazing! Carl was everything that I hoped in an instructor and more! Lessons with Carl are so fun! I've been learning a lot and I'm so glad I chose Carl as my teacher! Dr. Carl is an awesome teacher! I majorly struggled as a beginner, and Carl really took the time to help me. He was able to explain his methods in ways that made sense to me, and I'm doing things I never thought I'd be able to do! Thanks, Carl! Worth every penny! Carl is one of the best saxophonists I've heard. He is a dedicated teacher who uses is talents as both a classical and jazz musician to give students a customized lesson approach. I couldn't be happier with Carl! Carl is an inspirational teacher and musician! I coudn't be happier! Carl is the best instructor ever and I'm so happy that I chose him! He is extremely talented, knowledgeable, and professional. I'll be taking lessons from him for years to come! 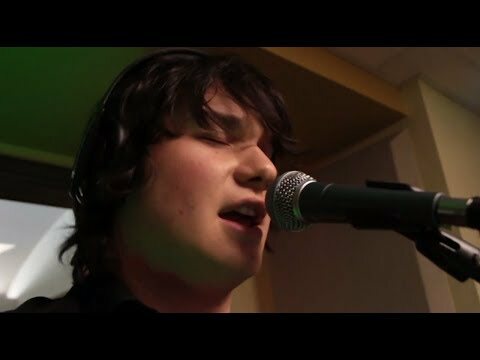 Carl is amazing! Learned so much! Carl is a wonderful instructor!! Helped me so much I progressed a lot since when I met him to now. Carl is so patient and kind. I am so happy with the way he is teaching me piano. He is so knowledgeable and I look forward to many more lessons with him! I really enjoy lessons with Dr. spaeth. His guidance is very helpful in improving my technique and tone. He was flexible on the lesson time and that also was very helpful for me. Carl makes sax lessons fun and interesting. His knowledge is encyclopedic in breadth. Very happy working with Carl. He's been patient, and is very helpful with his comments. Spectacular session, I got help with sight-reading and playing a piece that I enjoy. I learned many new things and had fun accomplishing it. Although there is nothing that I can say but thanks! Did a great job with some of my struggles really reinforced. geat 1st lesson! Carl is a great teacher for our 12 year old daughter. He's engaging, encouraging and relatable, and has a great musical talent. We've been very happy with the lesson plans and how much progress our daughter has made over the last few months. We definitely recommend Carl to anyone looking for an instructor- he's excellent. Great teacher, very knowledgeable. Learnt quite a lot of stuff even after being rather experienced in music. Carl is a fantastic instructor. My lessons have evolved from bass to songwriting. I'm having so much fun and am learning more than I imagined. I can't recommend him enough! very good at knowing the difference of periods of music. Carl S. is a FANTASTIC performer and educator. I've seen him perform and teach in a variety of settings, and I respect him immensely. He is a wonderful, compassionate, motivated teacher. I wouldn't hesitate to send any student looking to improve their musical abilities. You will have made the right choice! Carl is a great instructors. Many teachers are never vocal about what they want their students to do, they just tell them to do it. However, Carl talks a lot about technique and how to apply that technique to enhance your music skills. He is also VERY experienced and knows how to make the class fun. We will for sure be taking many more classes! Carl is very friendly and patient. His first concern was to understand me and what I want to get out of my lessons. He gave me outstanding resources throughout our lesson, and I have clear objectives for next time. We used our time very efficiently - I was impressed!! Dr. Spaeth is an amazing teacher. Knowledgeable, patient, easy to understand, and a great teacher for all skill levels. He is a great musician and impressive improviser. Carl is an exceptional teacher! He makes effective use of the time, generates and shares a lot of resources, and explains everything clearly. He provides positive and constructive feedback that encourages / motivates to continue practicing. I would highly recommend to anyone. Great teacher! My daughter goes back to the group lessons every chance she gets. Excellent teacher.Has lots of patience. Explains in detail .i could learn the basics which never were thought at my school. Best instructor ever we found for my kids.With his help and guidance they could make to jazz ensemble of their school competing with 54 kids. Mr.Carl Thanks for the guidelines and lessons wish to work for longer time together. The way he teaches helps me understand how to play better. Carl is patient, more patient than I am with my progress. Transitioning from working with a harp and keyboard to a woodwind is getting in the way. I can dedicate an hour's practice a day, but perhaps that's not enough. Great lesson - got a very nice primer on music theory from Carl today. Great experience so far, really enjoying learning with Carl. Carl is a wonderful teacher. We covered a lot of ground in my first lesson, but at a pace that was comfortable for me. Looking forward to the next lesson! After our first online session, I am totally convinced that my prolonged and diligent search for the "very best saxophone instructor" has absolutely led me to the very best for me. Dr. Carl far exceeds the standards and expectations for which I sought in my new saxophone instructor! Vikram loved the class. He is looking forward to the next one! Carl is an excellent instructor for our daughter who is somewhat unsure of herself, especially with a new instrument. With his expertise, patient and guidance, I can see her saxophone skills already improving. Two thumbs up!!! Excellent teacher. Helping with jazz band and marching band. We are also going to start the clarinet. First Lesson was fun and extremely informative. Can't wait to get my book and start playing some tunes! The Best. I truly couldn't have asked for a more confident, more affordable, and more experienced teacher. If there's someone you're looking for with help to get started, or simply improve your saxophone skills, he's your man. I didn't feel uncomfortable when the lesson started; I felt more relaxed. I like it how he focuses it more on what you want to do, and not what he wants for you to do. He is a great saxophone teacher! You won't find a better sax instructor than Dr Spaeth, in my opinion. I really like how patient Carl is. I feel like is knowledge along with his patience makes him the best instructor. Carl is so easy to work with which makes me look forward to each lesson! I would give 10 stars if I could! I feel that Carl did a great job of keeping a very positive feel throughout the lesson. I am a pure beginner so that was probably the most important thing. I've been a part of Dr. Carl's Jazz ensembles playing Piano and Trombone. His teaching has brought my appreciate and level of achievement in both up tremendously. He has a great sense of humor and relates well with students. He is both technically and musically proficient on his instruments, and knows how to communicate effectively in both areas. Carl has been wonderful instructing our son on the tenor saxophone. Our son really enjoys working with Carl, and Carl is very patient and encouraging. Let's not forget that Carl is extremely knowledgeable, and we feel fortunate to have such a qualified teacher instructing our son. Awesome music instructor! We feel so fortunate to have Carl as our daughter's musical teacher and influence! Carl is a wonderful music instructor and we highly recommend him!! He is patient, thorough and teaches with an individualized approach as our daughter progresses with her guitar abilities. You will be very pleased choosing Carl as your coach, mentor and teacher! If I could give Carl more stars I would, because he is a great teacher! I really like how patient and professional Carl is and his extensive knowledge makes each lesson that much better. Carl is a top-notch performer, educator, and clinician! In February, he served as a guest clinician to two of my middle school woodwind classes and gave them fantastic remarks to make their music and playing ability reach the next level of musicianship! As a performer, Carl is at the top of his game! He is always prepared and performs to the highest of abilities. Carl and I have collaborated on pieces of music for saxophone and percussion before and it is such a treat to get to work with such a highly regarded musician! I've only heard the best of compliments about Mr. Spaeth! Dr.Carl is a great music teacher. He has help me with reading music and learning my instrument correctly. Dr. S is a fantastic instructor. I am a senior at South Dakota State, and have been studying with him for a year. He has proved to be a very outgoing and diversified teacher who is always willing to donate extra time to his students. Dr. S is an excellent performer in both classical and jazz. He guides students in musical interpretation and constantly encourages individual growth. I highly recommend him as an instructor, saxophone or otherwise. It has been an absolute pleasure working with Carl! My son and I both are taking lessons with him. He is very patient and supportive during our lessons. I have learned so much in such a short time with Carl, and is one of the best teachers I have had. I did take band in my younger years so I have some music behind me, but it was for tuba not sax. I wasn't sure about doing this and it was more of a Christmas present for my son and I, but I will reschedule when I am done with my current schedule. It has been well worth my time and money! Thanks Carl!!! I have had the pleasure of working with Carl over the past few months, and he has proven to be a capable and patient teacher. He gives thoughtful musical feedback. I recommend him with no hesitations. I've been a quality assurance engineer for over thirty years. how does this apply? well, I've learned all the 'degrees' of good and bad in manufacturing which inherently includes people and their skills. Carl is an excellent teacher because he has all the characteristics that go into the making of a good product--or, in this case, teaching. I know that I'll get the most for my money when working with Carl because he is that good. that's why I've decided to open end my lesson plan with him. I know he'll teach me a lot and, for me, that's what it's all about. I was in a jazz trio with Carl several years ago and he was a joy to perform music with. He's an all around great musician, and rises above the expectations of a typical horn player. His experience with several instruments, music theory, and his extensive performance history all contribute to his expertise. Not to mention, all the awards and videos speak for themselves. I took saxophone lessons with Carl over the summer to catch up with our local high school band. He did a great job with teaching me the fundamentals of playing classical music, but he also taught me how to improvise, giving me a good introduction to jazz. The lessons were very relaxed, while at the same time very productive. He's a great teacher, and I would highly recommend him. In his many years as a student and an educator, Carl understands the difficulties in learning and teaching an instrument. He does a fine job explaining several methods that may correct a problem and has helped me greatly improve my classical and jazz saxophone playing within the past year. Carl is a great teacher and will do anything to help students understand theory. I majorly struggled with theory in college and Carl went out of his way to help me! I recommend him as a teacher! Carl is an excellent instructor. He gave me sax lessons during my concert season. I learned a great deal from him and excelled in my concert performance. He was very reliable, flexible, and fun to be around. I would recommend lessons from him to anyone who wants to improve their playing ability. Carl is a fantastic saxophone teacher. Very helpful with minor details that greatly increase skill and ability. Very easy to get along with. I enjoyed lessons with Carl, and felt I improved at a greater pace than with any of my previous teachers.